A prodigy from the rough streets of Zaun, Ekko manipulates time to spin any situation to his advantage. Using his own invention, the Zero-Drive, he explores the branching possibilities of reality. 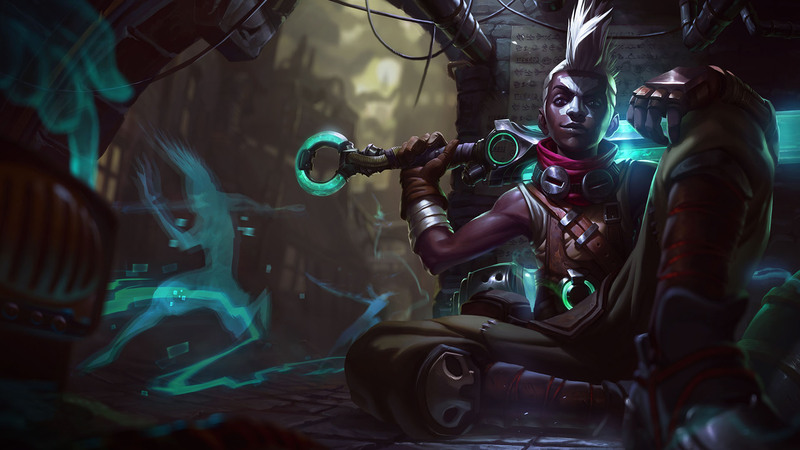 Ekko is a high mobility, Ability Power champion who can be played as either a bruiser or an assassin. His high mobility, burst and sustained damage make him a great champion for both inexperienced and experienced players alike. 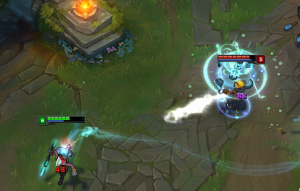 Ekko’s Zero-Drive charges his spells and attacks with temporal energy. The third hit deals bonus damage and saps the target’s movement speed. If the target is a champion, Ekko gains accelerated movement speed. This ability is great for chasing down your enemies, as you’ll unleash devastating burst damage on your enemy and then be able to follow up for the kill. This ability will allow you to stick to anyone as long as you can attack-move. This ability isn’t the best in the game, and it’s very weak if you’re behind in the game; this ability was created for when you’re winning, and, when you are, you’re going to keep winning. 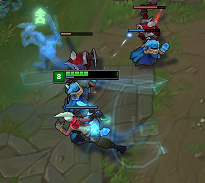 Ekko throws a device that deals 60/75/90/105/120 (+0.2*Ability Power) magic damage to enemies it passes through. It expands into a slowing field on the first champion hit, slowing everything inside by 32/39/46/53/60%. It then returns to him after a delay, dealing 60/85/110/135/160 (+0.6*Ability Power) magic damage to all targets hit upon return. Cost: 60/70/80/90/100 Mana. Range: 1075. Cooldown: 11/10/9/8/7 seconds (based on progression). This is going to be your poke during the laning phase, and will serve as your zoning ability to allow you to keep your enemies away from valuable members of your team. Timewinder allows you to farm safely, and quickly conquer your enemies. Make sure you’re at full health for when the enemy finally tries to engage on you; you should make sure that you poke down your enemy’s life points before you fully commit to a fight as you are an assassin champion; you want to burst them down, then back out. Max this first. Passive: Ekko’s basic attacks deal bonus magic damage to enemies under 30% health equal to 4% (+0.02*Ability Power) of their missing health (max 400 damage vs. minions and monsters). 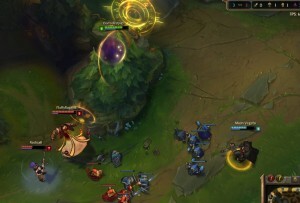 Active: After a 3 second delay, Ekko creates a short-lived chronosphere at the target location that slows enemies who enter by 40%. 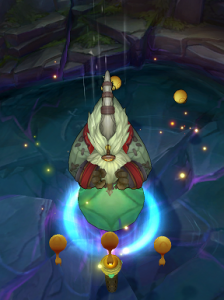 If Ekko enters the sphere, he will detonate it, gaining a shield that absorbs up to 150/195/240/285/330 (+0.8*AP) damage for 2 seconds. 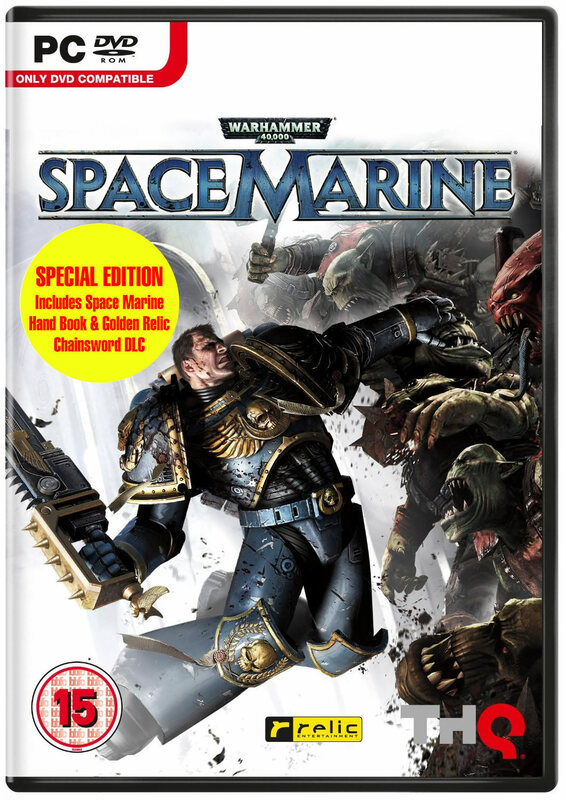 Enemies caught inside are stunned for 2.3 seconds. Cost: 30/40/50/60/70 Mana. Range: 1600. Cooldown: 22/20/18/16/14 seconds (based on progression). The passive ability means that you will easily deplete your foes’ health pool before you realise how much damage you’ve dealt. However, don’t focus solely on dealing auto attacks – because you’re not a defensive champion, you will die relatively fast if you try to become an ADC. The active on the other hand, is exactly why you’d want to level up this ability second, after Timewinder. Parallel Convergence will easily allow you to win many team fights with ease; having a 2.3 second stun on all enemies caught within the field is a game winning ability. 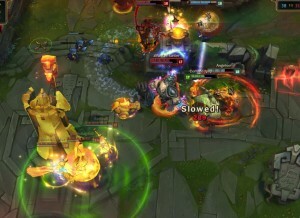 If you remember the Tempered Fate ability from our Bard review, imagine an ability that doesn’t affect your allies and still allows you to attack – this is what Parallel Convergence does. Ekko dashes a short distance in the targeted direction. His next attack will deal 50/80/110/140/170 (+0.2*Ability Power) bonus magic damage and teleport him to his target. Cost: 40/50/60/70/80 Mana. Range: 325. Cooldown: 15/13/11/9/7 seconds (based on progression). This ability further allows you to stick to your targets, but can also serve as a good escape when you see a gank incoming. 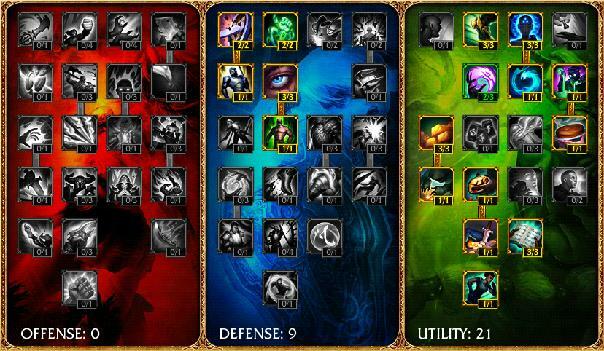 It’s damage is minimal, but it is extremely useful in team fights for focusing on a specific target. Max last, as it is simply utility. Makes Ekko invulnerable and untargetable, and teleports him back to wherever he was 4 seconds ago. Ekko heals himself for 100/150/200 + 20/25/30% (+0.03*Ability Power) of the damage taken over the last 4 seconds, and deals 200/350/500 (+1.3*Ability Power) magic damage to all nearby enemies on arrival. Cost: 0 Mana. Range: 850. Cooldown: 90/80/70 seconds (based on progression). 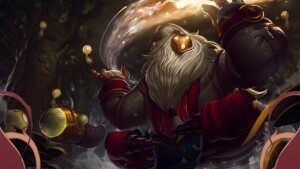 Chronobreak is the ability that Riot has focused on to make this champion stand out. This ability is great for turning the battle when your enemy is chasing you. This ability heals you, deals damage, gets you out of danger, and costs no mana; it is great for any situation, and can be used in combination with your Parallel Convergence to instantly stun the enemy team, but you need to make sure that your clone (teleport point) is where you’re placing it. 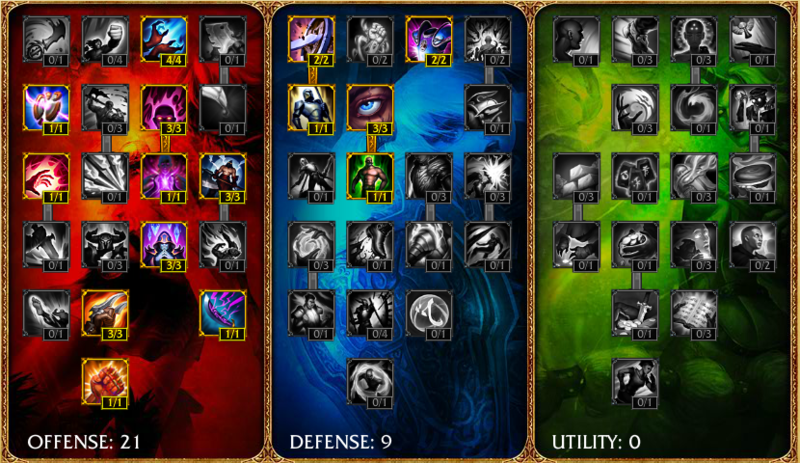 These are my masteries that are focused towards gaining damage, but granting Ekko some defence. For Ekko, I aim for Havoc for the +3% damage globally, along with Juggernaut from the defensive tree for the 3% increase to your maximum health. I also pick up Arcane Blade from the offensive tree, for the bonus magic damage equal to 5% of your ability power to work in combination with your passive effect from Parallel Convergence. The runes I use for this build are focused around gaining, and keeping the advantage against your opponents throughout the entire game, but you should aim to help your allies snowball to win. Ability Power and Hybrid Penetration marks are optional here, but I choose to stick with a mix between the two. If you go full ability power, you always have the option of buying a Void Staff earlier to compliment them. With Ekko’s unique mobility kit, the standard choice is to have Ignite and Flash. You can of course pick Flash, along with Teleport, if that’s what feels right for you; it will help against champions that are going to focus on staying in top lane who pose a threat to your turrets, such as Nasus, Tryndamere, and Singed. During the early game, you need to focus on getting the best CS in your lane. You’ll want to make sure you’re using your Timewinder to keep the pressure up, and to keep up with the farm, otherwise you’ll need to be in melee range to last hit. Enemies will try to dive on you while you are low level, because that’s when you’re at your most vulnerable. You can’t counter this without relying on dealing damage before hand from your poke. The items you’re going to want are a Doran’s Ring, 2 Health potions and a Warding Totem. 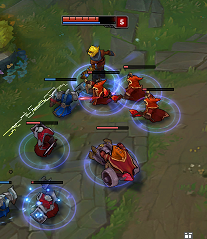 You should aim to attack your teammates lanes, because you’ll easily be able to escape if it doesn’t go too well, or you can use your Chronobreak if you see an enemy approaching you from behind to lower their health pool dramatically, and potentially kill them. The key thing to bear in mind when using Phase Dive on your enemies is knowing when your allies are going in for a kill. Don’t go in alone, only to realise that your burst isn’t sufficient to kill more than one person, and that you then have nothing left at your disposal. The items you should have by mid game are Sorcerer’s Shoes, Lich Bane, and a Needlessly Large Rod for Luden’s Echo. During this stage of the game, you’ll need to try to use Parallel Convergence decisively to achieve swift victory. Try to use Timewinder on as many enemies as possible while focussing either their ADC or APC to potentially kill them or force them out of the fight. Your abilities will easily win you the game if you use them correctly: you can Phase Dive into your Parallel Convergence to activate its stun, instead of Chronobreak or Flash if you’ve previously used them to escape or to deal damage. Teamfights are where you will contribute the most, with your huge AoE damage and CC abilities. You are a threat to the enemy team, and they’ll ignore your team to try and take you out; this is where you can heal up any damage with your ultimate, regroup with your team and quickly turn the tides of the battle. End game items should be Sorcerer’s Shoes, Zhonya’s Hourglass, Rabadon’s Deathcap, Void Staff, and Lich Bane. Of course your elixir will be either the Elixir of Sorcery, or an Elixir of Iron against the more CC orientated teams. For your last item, you’ll have the choice of either a Rod of Ages (if you buy it early), a Zhonya’s Hourglass, or a Guardian Angel, most of the time, I prefer to choose Zhonya’s Hourglass over the other two, simply because it gives me damage, and while in stasis, I can maybe get off another ability when I get out, or it can be used to set up Chronobreak for a huge burst of damage. Guardian’s Angel will be an option if the enemy’s team is comprised of 5 assassins. 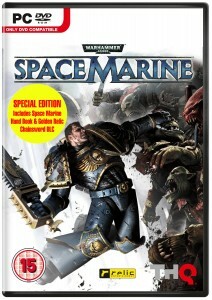 Great at dealing with enemies from afar, and will leave you terrified as you attempt to keep even with the enemy’s CS. 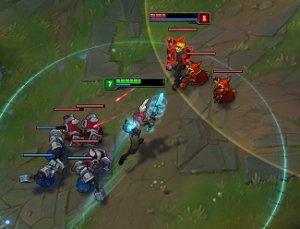 The CC at Lissandra’s disposal will zone you out of your lane if you get remotely close to the creeps, and she will dominate your lane until you’re completely useless. To counteract this, request a few ganks from your jungler. If he isn’t willing, or can’t do this, then try not to die, and gather as much experience as you can. 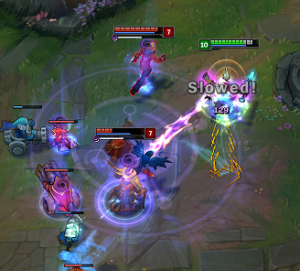 Don’t think that you’re useless in this lane, because you can win it if you poke Lissandra down before she pokes you. Simply, this is a range issue: Caitlyn’s Auto Attack range is double that of Ekko’s Phase Dive, so you won’t be getting anywhere close to Caitlyn, but even if you did, she’ll simply use her 90 Caliber Net to get knocked back, and will continue her onslaught. Just keep trying to get onto Caitlyn with the jump you get from using Phase Dive on your next auto attack. Sooner or later, she’ll slip up, and you’ll likely kill her from full health. Gnar has the ability to attack you from range, and then gain a massive buff that changes his abilities dramatically and turn himself into a melee champion. You will need to know when to attack, because Gnar’s damage output can leave you speechless. Yes, your Timewinder does a lot of damage, but so does his entire kit. Stay away from walls, and poke him down enough to the point where a kill is possible. Parallel Convergence [W] is an exceptional ability, considering it is a basic ability. Insane CC possibilities – allows you to choose your fight. High poke damage throughout all phases of the game. 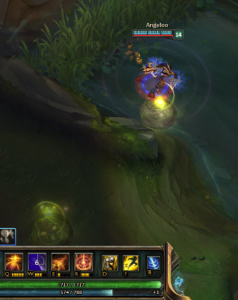 Can work well with the summoner spells Flash/Teleport, instead of the usual Flash/Ignite. Overall short ranged – hard to survive against certain match-ups. Parallel Convergence can easily be avoided. As an assassin, you need to stay away from the centre of a fight, and pick off your targets one by one. Ekko is a very versatile champion, and should be feared throughout the game. 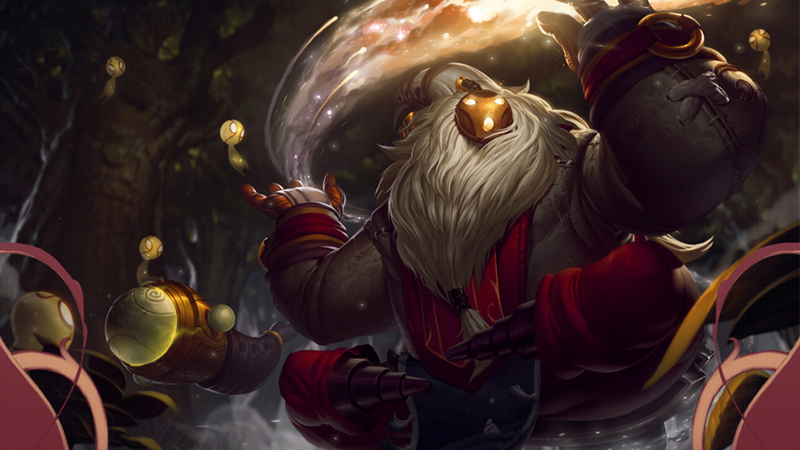 He shines in the Middle and Top lanes, and has the possibility of helping your team snowball. Your auto attacks deal a lot of damage, along with the rest of your kit, and you shouldn’t under-estimate your ability to deal damage, but you shouldn’t get over-confident either, because you’re a very squishy champion. More often than not, you’re going to struggle to obtain creep score (CS), but don’t let this put you off this champion, because you’ll easily be able to win your lane versus your opponents, with your highly damaging poke, and the ability to escape from fights with ease.